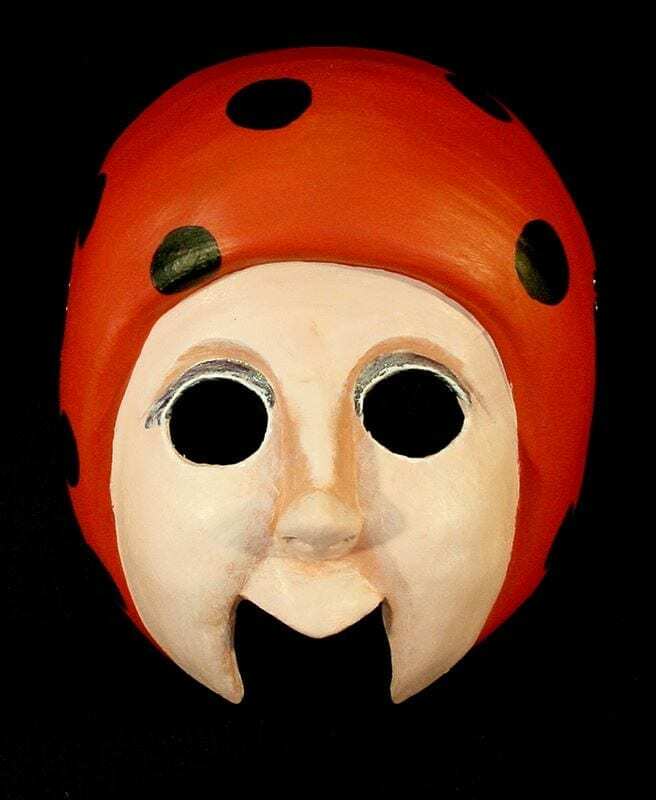 The Lady Bug half mask is a gentle mask of strong feminine beauty. Lady Bug is is a proud character and likes to set herself apart. She has the best interest of the others in mind always. She is the mother of the bunch. This mask is one of the favorites in the studio. Made of neoprene the Lady Bug is padded at the back for comfort.